In most cases, pear tree is a deciduous tree (it loses its leaves seasonally) that can grow up to 40 feet (12 meters) tall or even more. Nearly all pear trees that are cultivated for fruits are deciduous, but there are few cultivars (mostly ornamental) that are evergreen. Pear tree is a member of Rosaceae family. The blossoms are produced in spring. The fruits mature on shoots that are 2 or more years old. They mature in late summer or autumn depending on the variety. 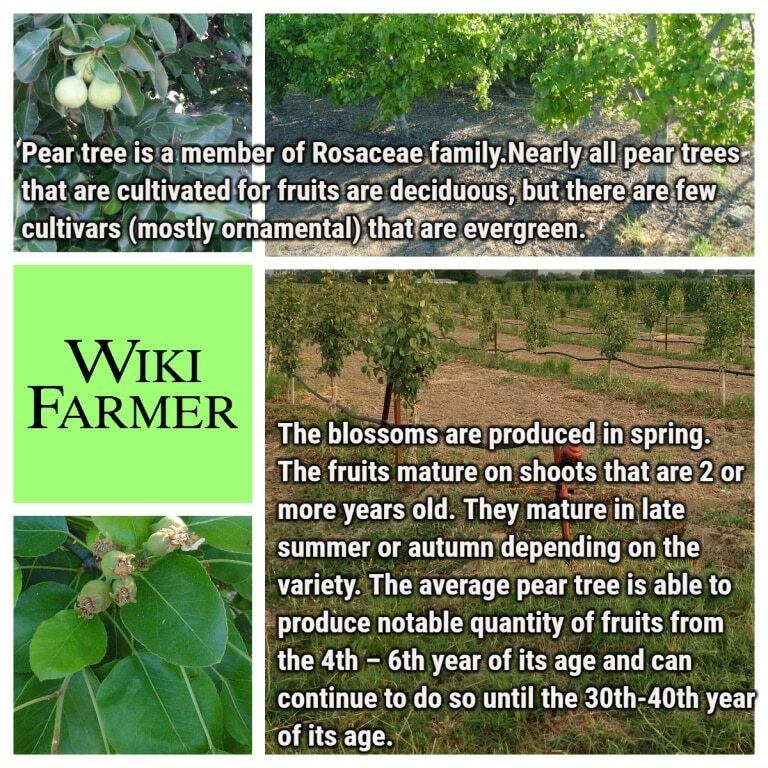 The average pear tree is able to produce notable quantity of fruits from the 4th – 6th year of its age and can continue to do so until the 30th-40th year of its age. Pear trees are believed to be cultivated since the 1st century BC, mainly in Asia. 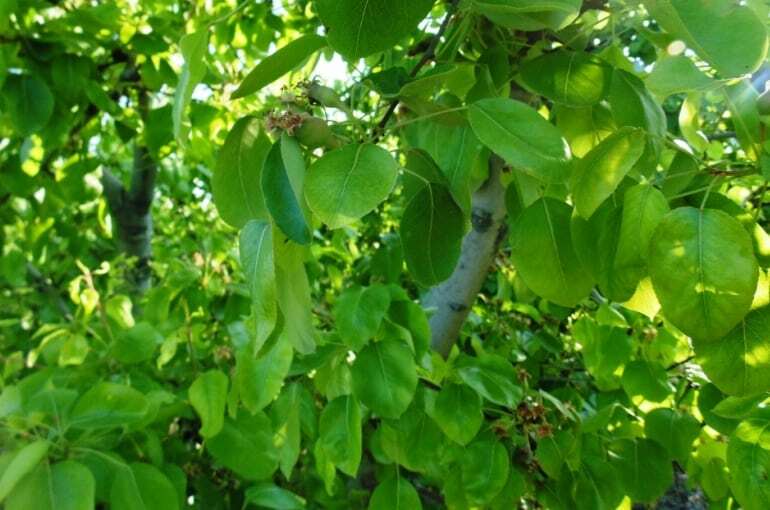 Its wide spread is caused partly because pear tree is very flexible, resilient and resistant to cold and draught, but not as much as apple tree is. About 70% of world pear production takes place in China, but pear trees are also cultivated in North and South America, Europe and Turkey. Pyrus communis, Pyrus pyrifolia and Pyrus bretschneider represent more than 95% of trees that are globally grown for fruits. However, there are more than 2500 known cultivars. You can enrich this article by leaving a comment or photo of your pear trees.